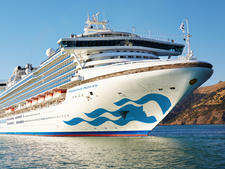 Launched in 1995 as the world's biggest-ever cruise ship weighing in at about 77,000 tons, Sun Princess debuted with the largest number of balcony cabins and innovative features, including a 24-hour cafe. 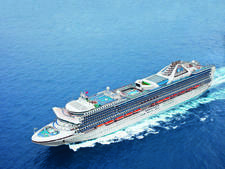 The first in the Sun Class vessels -- along with Dawn Princess and Sea Princess -- the ship paved the way for contemporary cruise travel. 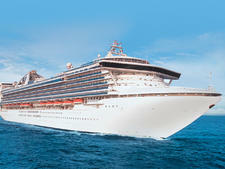 Today, Sun Princess is one of the smallest ships in the Princess fleet. 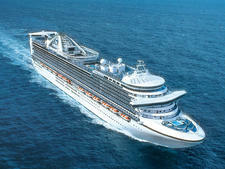 It still caters to 2,000 passengers, but is not as grand or contemporary as its counterparts. 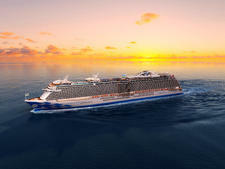 The impressive facilities include a theatre, Movies Under the Stars, three swimming pools, plenty of food and dining areas and The Sanctuary -- an adults-only retreat, certainly living up to the concept of 'big ship choice and small ship feel'. While there have been several refurbishments over the past few years, the tired looking cabins mostly missed out on the refurbs. The decor of light wood, brass and gold tones, traditional cruise elements such as steamer blankets and in-room fruit bowls on request, violinists near the Crooners Bar, Champagne Fountain celebrations and chocolates on pillows offer an overall atmosphere of relaxed refinement. 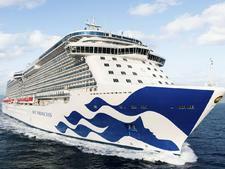 Bridge, bingo and themed trivia quizzes cater to the large proportion of seniors onboard. 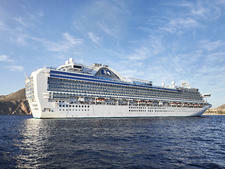 Young couples may find the Sun Princess a bit quiet, but appear happy with cocktail in hand or lounging by the adults-only aft pool. 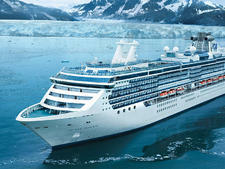 Sun Princess is essentially a warm weather ship. It has a good supply of outdoor deck space, but if you cruise to chilly climates, none of its three swimming pools has a sliding glass roof over them. In bad weather, everyone congregates indoors and the ship feels crowded. The situation improves in the evenings, when entertainment is in full swing in the Princess Theatre and the Vista Lounge, and many people make their way to these venues. 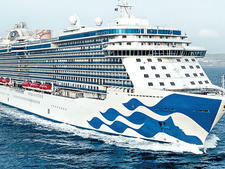 The Sun Princess offers interesting and varied itineraries. 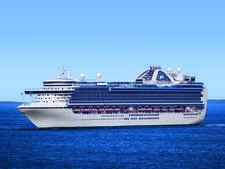 A highlight is the Vanuatu cruise, which is the only Pacific Island cruise from Australia stopping in Luganville for the beautiful 'Blue Hole' attraction. 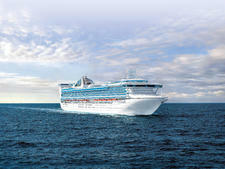 Where Sun Princess shines is in the service. It's all in the subtleties: deckhands remove emptied cups under sun lounges without disturbing sleeping passengers; food and beverage staff hold open the door for passers-by while simultaneously transporting crates of food; stewards greet passengers by name and with a smile; and Passenger Service staff remain calm when faced with a barrage of complaints over a port cancellation caused by bad weather. 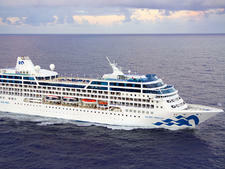 Despite the lack of bells and whistles on Sun Princess, it's a pleasure to cruise on a well-run and welcoming ship. 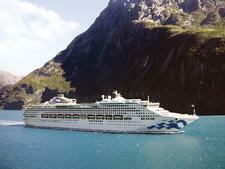 Sun Princess cruises mainly from Australian ports with a few sojourns from Japan and US. As a result, most passengers are Aussies (and Kiwis). The Australian dollar is the onboard currency and announcements and television programs are in English. Older couples and retired seniors make up the majority of passengers onboard with a smaller group of families and younger couples. 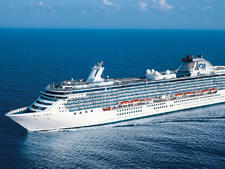 Most passengers were experienced Princess cruisers. During the school holiday period, multi-generational groups, families and solo professionals make up larger numbers. 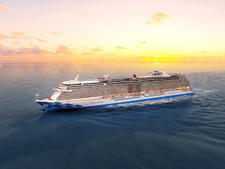 Australians have a relaxed interpretation of the 'smart casual' dress code onboard with shorts, T-shirts, swimwear and thongs the norm during the day. 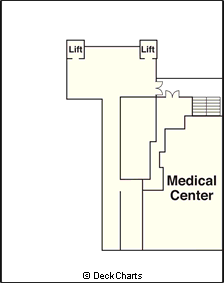 In the evening, T-shirts, jeans and sandals can be seen in the casual dining areas. Generally, passengers -- including children -- dress up at nighttime for the dining area. Women are seen in closed-toe shoes, knee-length dresses, pants and blouses, while men don collared shirts and khakis. Casual clothing -- including frayed jeans, shorts, caps and beachwear -- is not permitted in the dining rooms, though nobody enforces this recommendation. 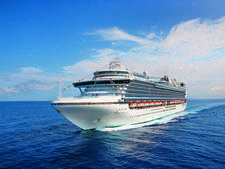 Weeklong itineraries of five or six days have one formal night, while cruises between seven and 13 days feature two formal nights. On formal nights, cocktail dresses and suits with or without ties are worn rather than gowns and tuxedos. There are a select few that don full gowns with pearls or tuxedos. Formal wear is available for hire. 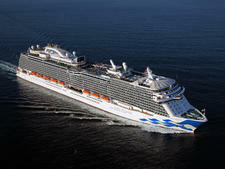 There is no automatic tipping required by passengers departing Australia onboard a Sun Princess cruise. 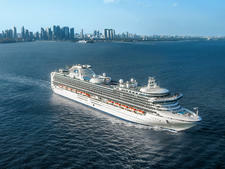 Passengers can tip particular crew for exceptional service at any time during the cruise and envelopes are provided at the front desk on the last night of cruising. No surcharge is added to the advertised cost of beverages and bar bills. On rare occasions a receipt is issued for signature, there is a discretionary tipping area on the receipt, which could be left blank.